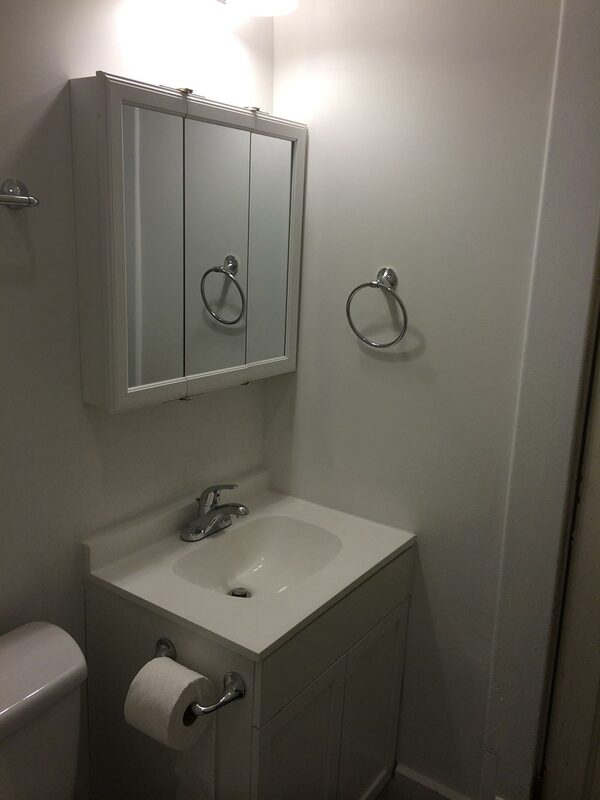 Budget Bathroom Makeover | Betterman Builders, Inc. 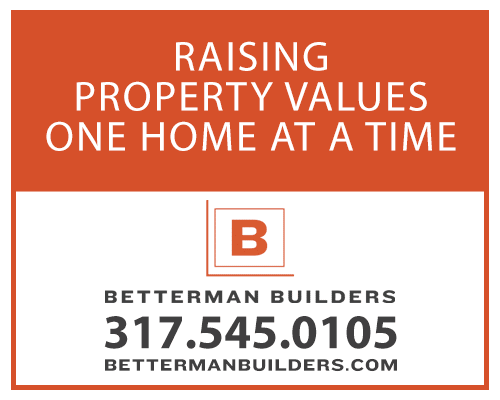 These Fountain Square homeowners were under pressure to finish a bathroom remodel for a new tenant who was moving in July 2014. Their first contractor left the country citing family emergency before starting the work, and they had only two weeks to complete the necessary improvements. 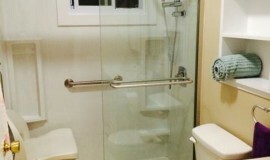 The tub and shower were unsalvageable, and the space was cramped. 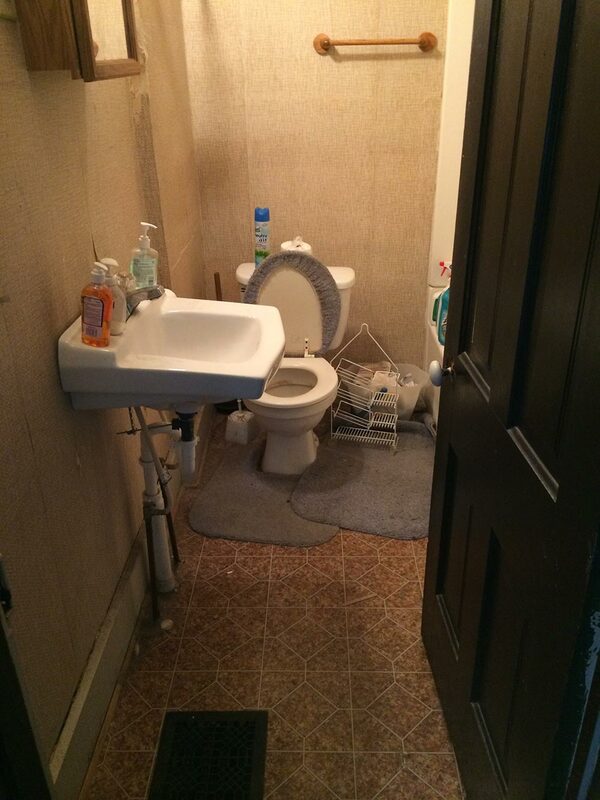 The toilet was visible from the front entrance of the house if the door was open, and the space felt cramped. 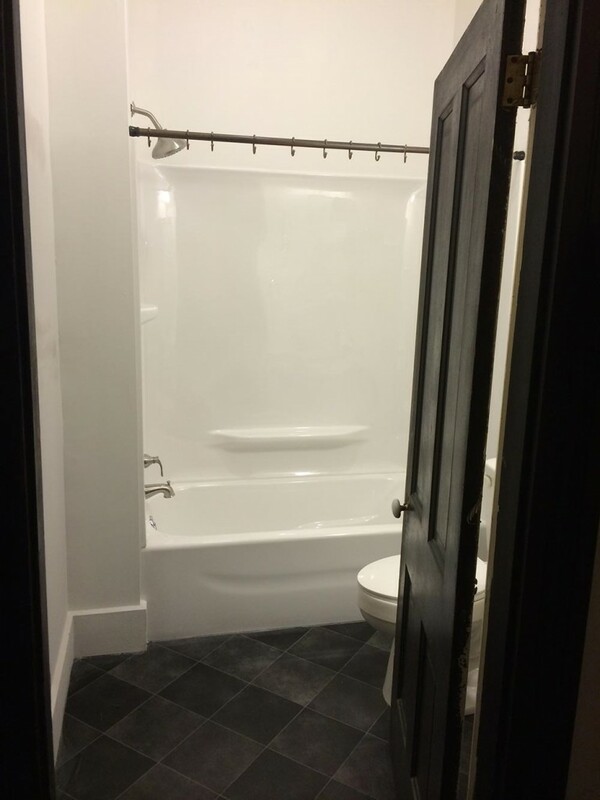 We gutted the room and worked within their tight budget to reorient the plumbing to put the toilet and vanity behind the door and an attractive new tub/shower insert in the line of sight from the front room. 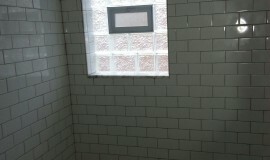 We also removed the wallpaper, repaired the walls, painted, and laid the homeowners’ choice of new flooring.